The first tier is shared between the the three relics, for a maximum of 15 not 45. Eg if you are at 2/3 ilvl traits thanks to the first relic, and then click on the 3rd relic, that ability will still show 2/3 ranks in-game (not 0/3). on 2017-07-23T02:47:56-05:00Worked for me after choosing relics in the main artifact window. Actually it works as you told. You need to reselect or choose other relics in the artifact talent tree and then go to the Crucible. Your screenshots don't prove it. 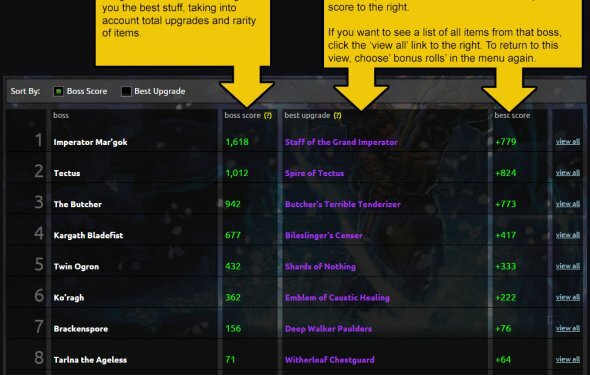 Contrary, it's notable you are tossing around the same levels (ranks) of your relics granting you a total boost of 15 item levels and 926 of gear score on all pictures. By the way another thing I see on pictures, you can take only ONE rank of each talent of your relics, not three as done in the calculator.